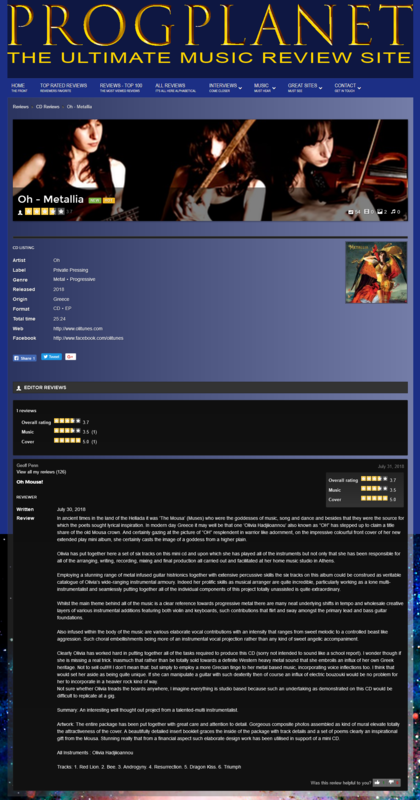 Review of "Metallia" by Geoff Penn of Progplanet — Oh. I would like to thank, Geoff Penn the progressive rock reviewer from the site, Progplanet for his review. 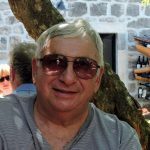 Geoff lives in Cyprus, so he is well versed in “Greek” mythology as he has written the review in prose like “The Odyssey” with allusions to the Muses and goddesses. He is a great writer. A question he brought up was to how such elaborate images were made for the cover and booklet and how expensive they must be for such a mini-album. I did write Geoff back and told him that soon there will be a small “mini” documentary of how “Metallia” was made. It wasn’t only a lot of research for the concepts but also the artwork. Most of the images are from illuminated manuscripts and necessitated research in various libraries. Images which aren’t readily available online. The covers are a montage of ancient alchemic texts and epic paintings from the masters. Though I made the mock-ups for the designs, the finals were put together by a relative of mine who works closely with me on design and experimental tech used in past projects. So the cost as usual was only in sweat. Thank you again Geoff for your review. It, in itself was an epic journey.